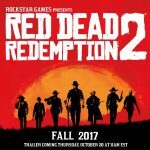 Well the news is out, Red Dead Redemption 2 is officially in the works and currently slated for a Fall 2017 release. As exciting as this news is to many, I could actually care less given there won’t be a PC version. Now, so as not to incite a debate over PC vs Console my reasoning isn’t “PC Master Race” oriented. In fact I don’t even subscribe to this ridiculous mindset, we like what we like and there is no right or wrong in it. 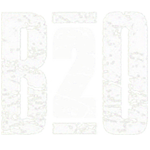 B2O Twitch Stream Saturdays – cast your vote! 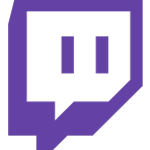 With the successful (if not early) completion of Bioshock Infinite, the time has come once again to cast your vote for the next game to be Livestreamed on Band of Others Twitch Channel. For those of you who know me, I’m a somewhat vocal and ever so slightly sarcastic (im? )mature Gamer running a fledgling Twitch Channel called BandofOthers. There’s a throne, held by the Roller Coaster Tycoon series, as the best tycoon series ever created. The king has reigned for about a decade now, the last king, Roller Coaster Tycoon 3, having ruled without a legitimate heir for a while. As Roller Coaster Tycoon World looks like it own’t be a true successor to that throne, Planet Coaster hopes to topple the franchise and usurp the title. Can it become the new king of tycoon games?